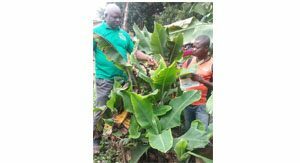 Severe stunting due to bunchy top disease. 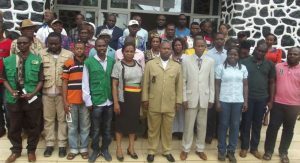 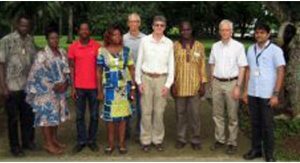 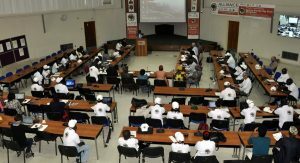 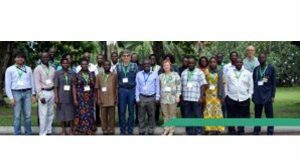 Meeting of the ‘Learning Alliance’ for banana bunchy top disease control in sub-Saharan Africa at IITA, Ibadan, Nigeria (9 to 14 March 2015). 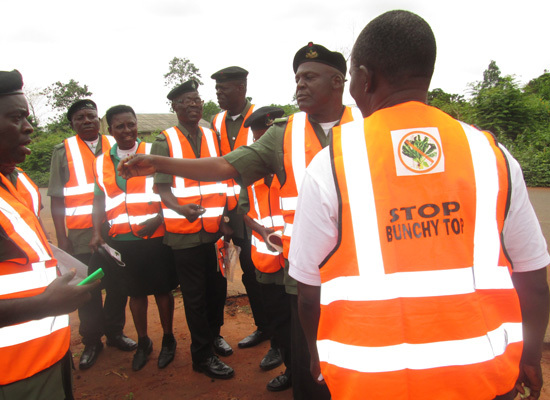 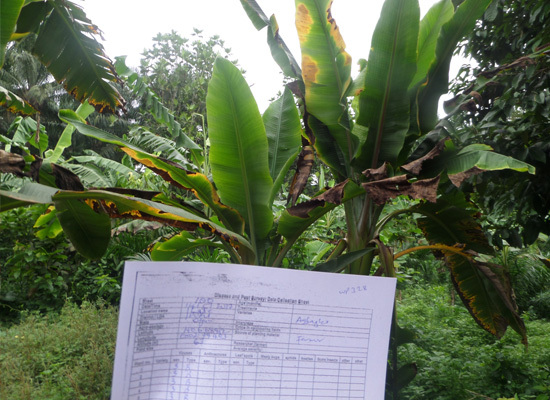 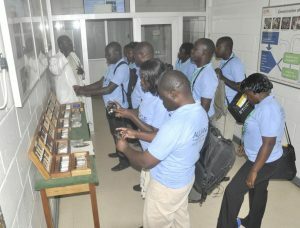 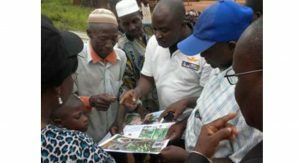 The ‘alliance’ is a multinational, multi-stakeholder, interdisciplinary team formed under the framework of the CGIAR Roots, Tubers and Banana (CRP-RTB) program, to mount a coordinated action to halt the expansion of banana bunchy top disease and recover banana production in the disease affected areas, especially in sub-Saharan Africa. 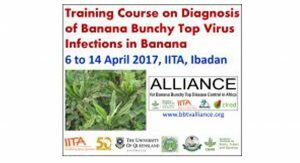 Banana bunchy top disease (BBTD) is an invasive virus disease seriously threatening banana and plantain production in Africa. 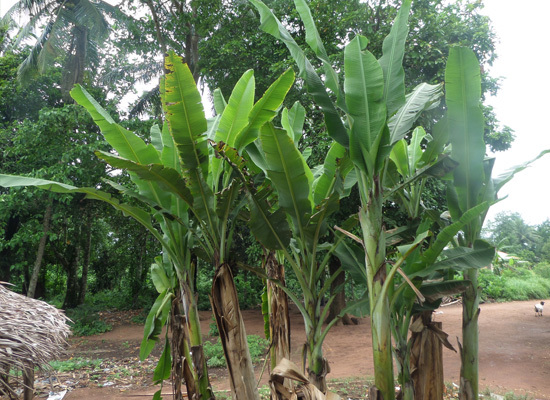 This disease caused by the Banana bunchy top virus (BBTV) renders plants unproductive, eventually killing them. 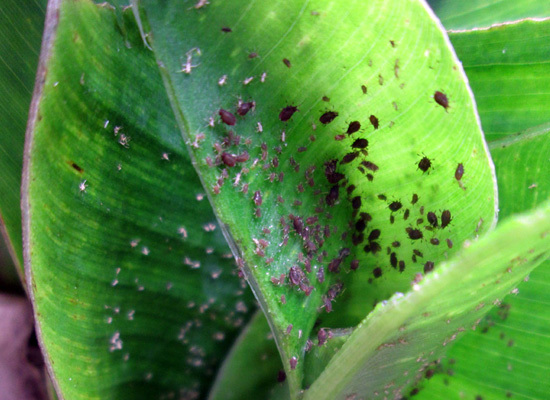 Extensive disease spread into new production areas was observed during the last two decades. 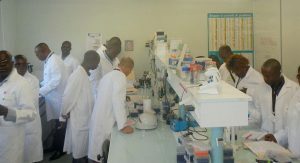 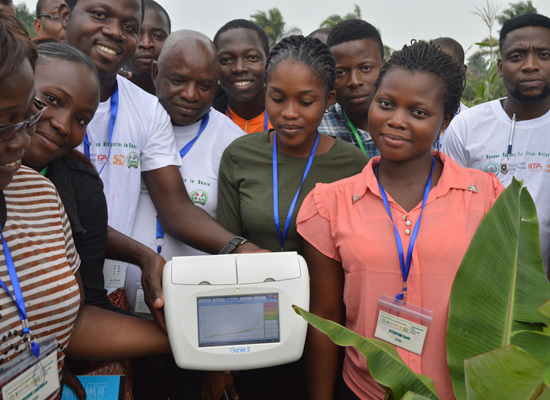 Develop and distribute sensitive diagnostic tools, and develop capacity for disease recognition and knowledge of control options. 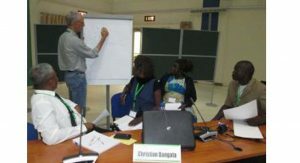 Alliance is coordinated by the International Institute of Tropical Agriculture (IITA), Bioversity International, together with FAO and several national agricultural research systems (Bénin, Cameroon, Congo Brazzaville, DRC, Ghana, Malawi, Nigeria, and Zambia) and several research partners from Australia, Asia, Europe, India, Kenya, New Zealand, and USA.